Manhattan College ITS provides all employees and students with cloud storage space called Home Server. The Home Server is accessible from all computer labs by clicking on the My Computer Icon and then clicking on the disk with your Jaspernet username on it. 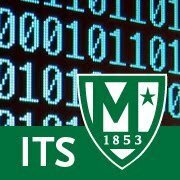 If you would like to learn more about home server or would like assistance in setting it up on your computer, please email its@manhattan.edu. We also have some tutorials available here.